Sugar Sculptures for Tiffany & Co.
A multi-sensory interpretation of the iconic film, Breakfast at Tiffany’s, where the space was transformed into a sugar haven with large scale sculptures. 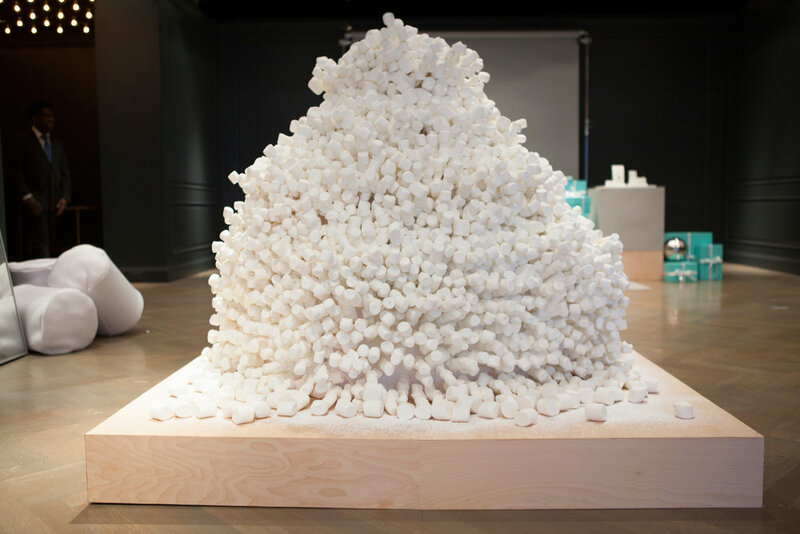 A marshmallow mountain was constructed with over 5000 pieces, in addition to a 10 foot sundial filled with chocolate and licorice. 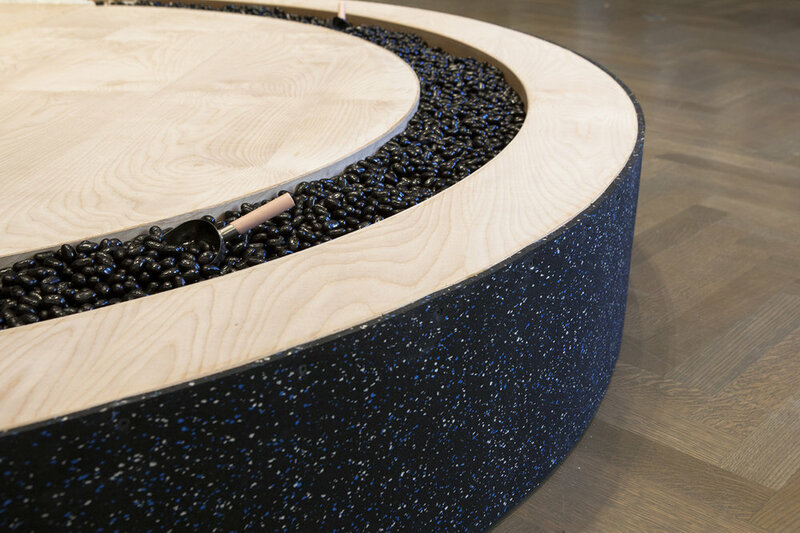 Each installation correlated to a piece of jewelry which was on display alongside the sculptures. Themes of greed coupled with childhood memories were explored. Guests where encouraged to consume the sugar in all its forms. In collaboration with Laila Gohar.